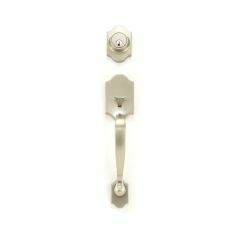 Eden Entrance Handleset by MaxGrade is a great value handleset featuring MaxGrade quality forged brass construction. 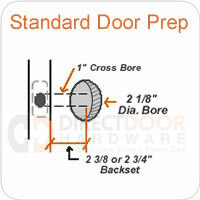 This entry set is easy to install and will fit a standard 2-1/8" door preparation. 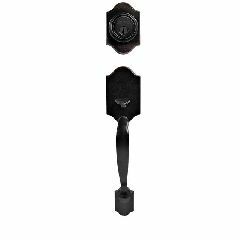 Security deadbolt includes full 1" throw brass bolt with hardened steel rod insert for added protection. Adustable backset latches with 3-way faceplates make intallation trouble free. We can key this entrance set alike to your MaxGrade order or we can key to match your existing locks with SC1 keyway. Single cylinder handleset includes two keys for outside lock, and thumbturn interior trim. 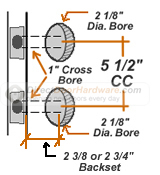 Order the dummy function for a non-working decorative trim set. Adjustable backset latches 2-3/8" or 2-3/4"